Spruce up the look of your bathroom with this fine-crafted, efficient sink from Sinkology. It is manufactured with ultra-durable copper, so you can enjoy its stylish appearance even after years of wear and tear. Improve the overall look and utility of any bathroom during your next home renovation project with this sink. A larger vessel sink, our 17 inch diameter model is ready for prominent display. Mounted atop counter or pedestal, JSG Oceana glass vessel sinks become a focus for light and reflection. Master bath or small bathroom, it makes no difference, as these beautiful creations add a touch of elegance to any space. Resistant to scratches, stains, chemicals, and thermal shocks, JSG Oceana glass vessel sinks are as durable as they are memorable. The Alina Art Vessel from JSG Oceana combines functionality and beauty in this USA made glass sink. Elegantly free formed by skilled artists, this masterpiece in glass transforms your powder or master bathroom to give you the WOW factor you have been looking for. The free formed rim is inscribed with the artist's initials making it truly a piece of art; no two vessels are exactly alike. Made of "HARD ROC inch glass, the durability of this vessel makes it a lifetime product. Stylish and extra durable by design, this vessel sink from Kraus is sure to be a staple of your bathroom remodel. You'll be impressed at how well its stylish ceramic design holds up against everyday wear and tear. You'll be glad you chose this top-grade sink for your next home renovation project. 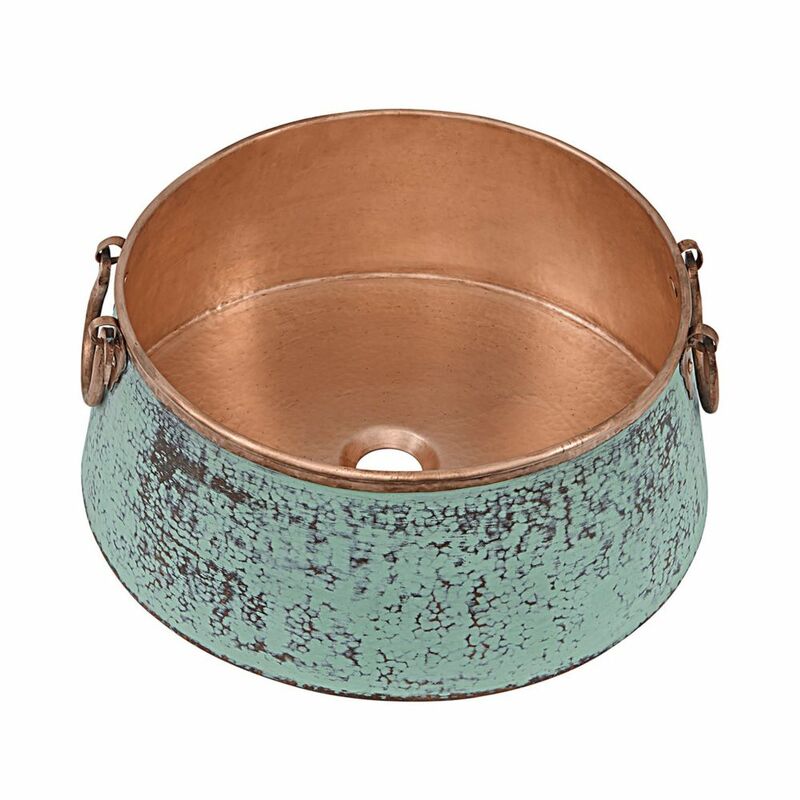 Noble 16-inch x 7.25-inch x 16-inch Circular Copper Bathroom Sink with Drain in Copper Spruce up the look of your bathroom with this fine-crafted, efficient sink from Sinkology. It is manufactured with ultra-durable copper, so you can enjoy its stylish appearance even after years of wear and tear. Improve the overall look and utility of any bathroom during your next home renovation project with this sink.